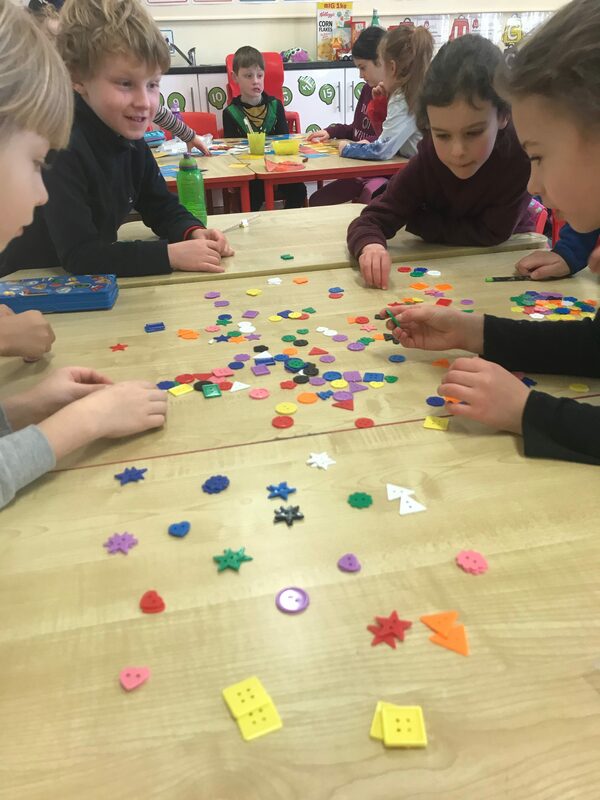 Last week, we were exploring and experimenting with pattern in maths, art, music and almost every other subject you can think of! We realised we are surrounded by different patterns so our pattern-making skills were Level: Expert! We made patterns in a variety of ways, including Lego, buttons, shapes, colours and cubes. We even created a grid of 28 different patterns on paper using oil pastels. We then painted each pattern grid with watercolours but the clever oil pastel was able to resist the paint, resulting in these fabulous masterpieces.